Trissels Mennonite Church was founded in 1822 in northwestern Rockingham County of Virginia. 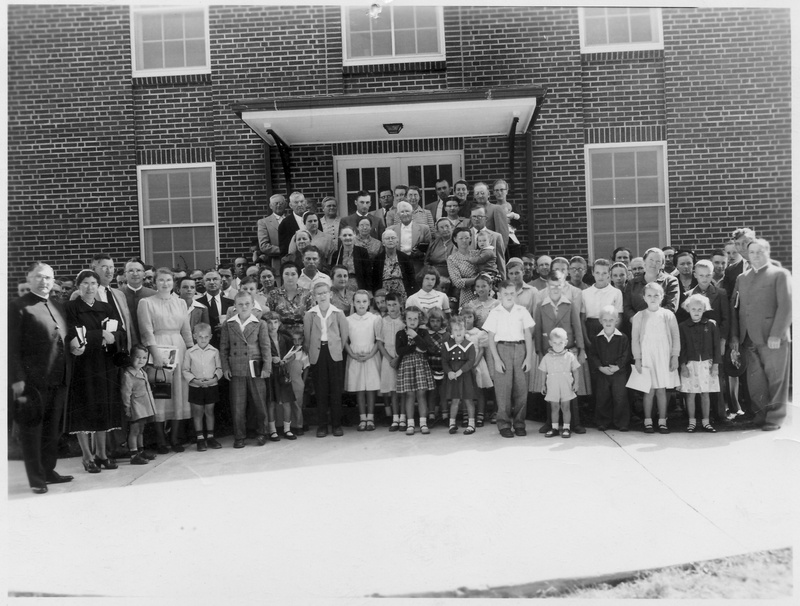 Historians tell us that this is the first (and oldest) congregation in Virginia Mennonite Conference. The church took its name from a small cemetery on a hill above the Cedar Run containing the remains of early families -- including folks with the last name "Trissel." The first building, a log structure measuring 20 ft. by 25 ft., was built beside the cemetery and became known as "Trissels Mennonite Church." Today we are at the same location, in a glorious oak grove, a rural church seeking to know Christ and to make him known. "If these trees could talk" is a short history by Eunice Geil Showalter. The photo gallery below shows miscellaneous photos from Trissels' past. If you have something to add, let us know! 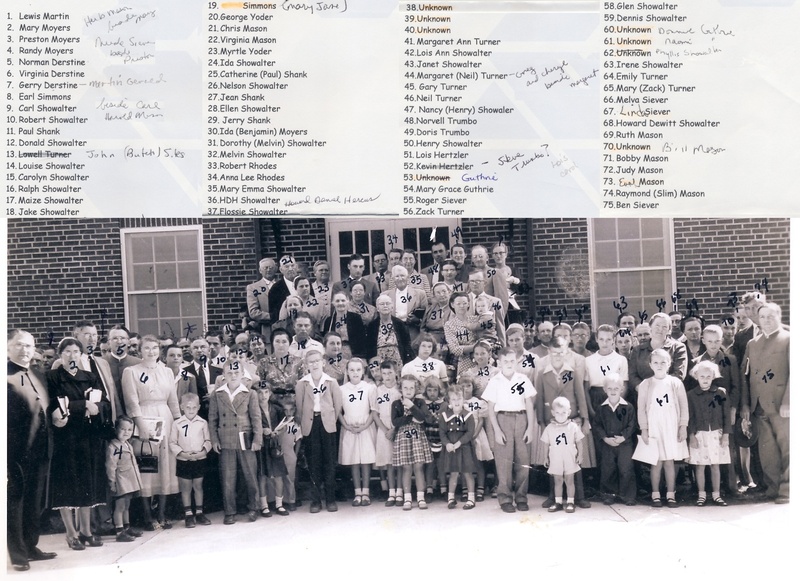 The photo on the right is of the congregation in 1953; click on it to download it at highest resolution and click here to download key to persons in photo (if you have additional info, let us know! ).